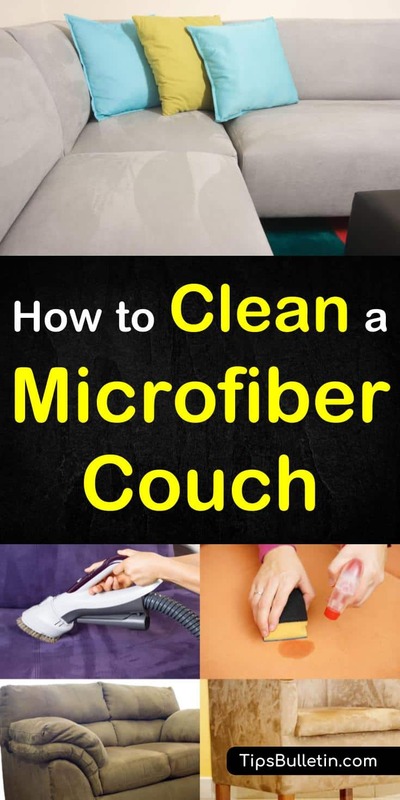 If you have a microfiber or suede couch, then you probably already know that they can be difficult to clean. At the same time, suede and microfiber look fantastic in your living room, so switching out the furniture for easier-to-clean fabric may be out of the question. 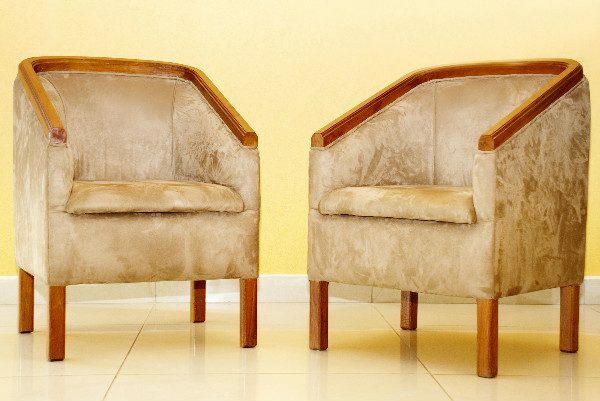 So how do you reconcile suede furniture with cleaning? How to best clean a microfiber sofa or a suede couch? In this article, you’re going to learn the difference between microfiber and suede. You’re going to learn some cleaning techniques that will ensure that your furniture remains looking and feeling amazing. You’re also going to learn different options that you have for cleaning your furniture. Before you try to clean a microfiber sofa or couch, make sure that you read the care instruction tag. If it has a “W” code, it means that it is water safe. “X” means that it is dry-brush only, while “S” means that you need to use a dry-cleaning solvent. “S-W” indicates that it’s safe for water and solvents. An “S” means you can use rubbing alcohol. You should always test out the rubbing alcohol on a hidden spot first just to make sure that it does not damage the fabric. 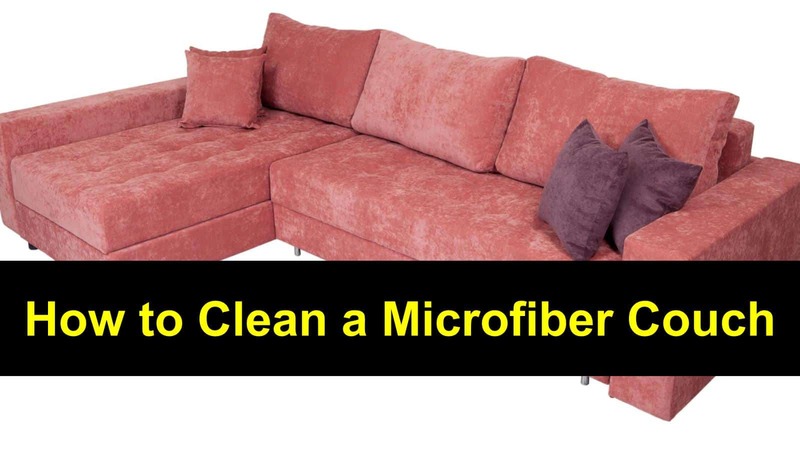 There are certain products you’ll want to avoid using when cleaning a microfiber sofa, and if you’re in doubt about which products to use, ask a professional furniture cleaning service first. Microfiber is knit tightly, which means that it is ideal for keeping allergens and dirt from getting into the fabric. Some dirt can still develop on the top of the microfiber. To save it from damaging the fabric, vacuum it every week. Otherwise, you risk grinding the dirt into the microfiber. You’d also do well to use a bristled upholstery attachment to get the dirt off and keep the microfiber soft. If your sofa is considered water safe, you can clean it with a homemade upholstery cleaner based on dishwashing soap and water or a commercial upholstery cleaner. Use a squirt of soap in a large bowl with warm water and create soap suds. Afterward, use a white, clean cloth to dip into the suds. Try to get minimal water on the cloth and scrub it in a circular motion on the couch. After this, use a dry, white cloth to remove the suds. Do only one small section at a time so that the fabric does not absorb too much of the soap. Once you have scrubbed the entire couch, use a nylon-bristled brush to soften and blend the fabric uniformly. Microfiber is designed to repel water, but spills can cause watermarks to form. Once a spill happens, use a clean, white cloth to blot the liquid. Press it down to blot the liquid instead of rubbing it. If a watermark does appear, fill a spray bottle with rubbing alcohol and get a white sponge. Spray the watermark lightly. 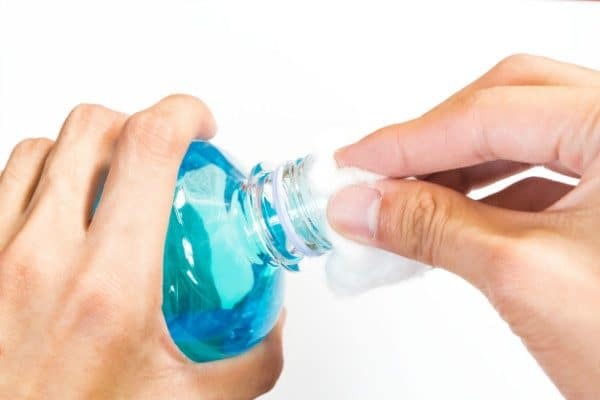 Let the alcohol dry completely before brushing the area with a nylon-bristled scrub brush. As far as how to clean a suede couch is concerned, always remove stains as quickly as possible. If the stain is allowed to set for an extended period, it can be nearly impossible to remove. To get started, gather a mild, no-soap detergent and soft, white clothes. You can also use a suede cleaner if you have one on hand. 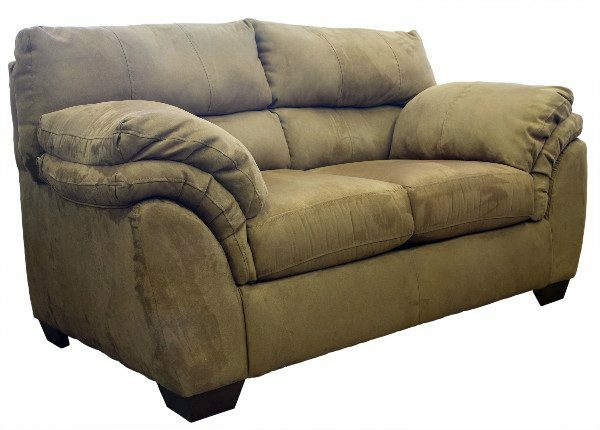 Like microfiber couches, you’ll want test the cleaner on a small part of the suede couch first to make sure it does not affect the suede. If the cleaner is not a problem, start by scraping away as much of the stain as you can with a plastic spoon. Next, fill a bucket with water and a mild detergent. Stir or shake the water to create soap suds. With a soft, white cloth, gather some soap suds without any water and blot the stained area. As you pick up the stain’s color, use clean parts to continue blotting. Once the stain is gone, spot dry with a dry cloth. If the nap is different in color due to the cleaning, use a suede brush to even the spots out. Smaller stains can be cleaned using a brown eraser, a pencil eraser or sand paper. Larger stains must use the previous technique. Avoid using harsh chemicals on your suede couch, sticking instead to solvents designed for suede. Maybe you’re wondering: what is microfiber vs. microsuede vs. Ultrasuede? While they may look similar in design, microsuede, microfiber and Ultrasuede are different materials. Microfiber is spun thin, and it is thinner than silk. Typically, this fiber is for furniture, athletic clothing, and insulation. Depending on how its construction, it can be made to resemble silk, leather or suede. Microsuede is a kind of microfiber that made exclusively with polyester. It is used to mimic real suede in furniture. Other than being cheaper than suede, microsuede is also more comfortable, durable and stain-resistant. Meanwhile, Ultrasuede is a particular type of microsuede. The fabric was invented by the Japanese in the 1970s and is extremely popular. Since it is a brand name, it may have a higher price than other microfibers, but it is still cheaper than genuine suede. Ultrasuede is extremely comfortable, easy to clean and durable. It is possible to use steam cleaners to clean some microsuedes or microfiber couches. To make sure that it is not going to be a problem, check the manufacturer’s instructions before you begin. You should also test an inconspicuous part of the couch beforehand to make sure the steam cleaner doesn’t damage the fabric. Just because your couch is microfiber or suede doesn’t mean a spill is going to be the end of the world. There are plenty of options available to make your suede look good, but that you don’t have to worry if something gets spilled. 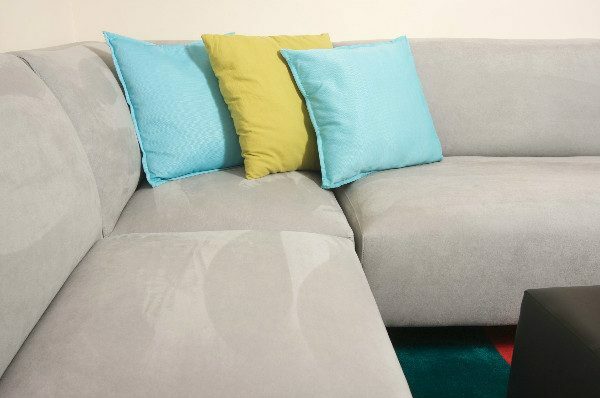 In this article, you learned how to clean a microfiber couch or a suede sofa. You learned the difference between microfiber, microsuede, and Ultrasuede, and you learned how to use steam cleaners on suede. Do you have a friend that prefers suede? Maybe they could use a tip or two on keeping their furniture clean. Use the buttons below to share to Facebook, Twitter, and Pinterest!